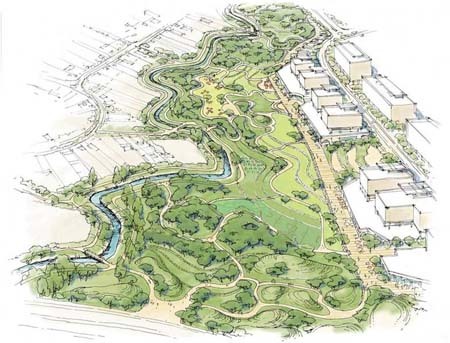 Description: Master Plan for Or-Yehuda section, which integrates a large retention pond and a metropolitan park. Client: Yarkon River Drainage Authority. Main Figures: Very large scale project.